Driven by Industry 4.0, intelligent monitoring and decision-making is becoming more common – down to the sensor level. Or, in this case, down to the encoder level. 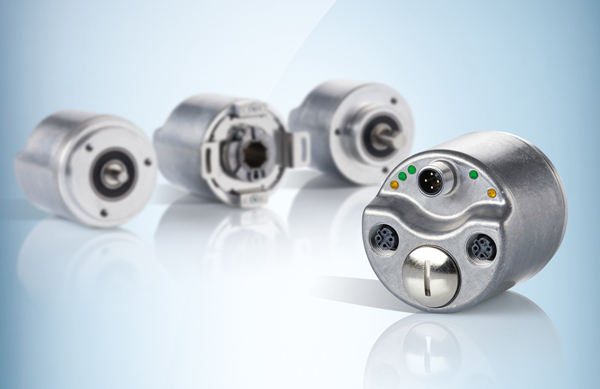 Encoders with Ethernet-based fieldbus interfaces are easy to configure and come complete with a range of diagnostic and preventative maintenance functions. SICK has taken a step further, integrating a web server into the AFS/AFM60 EtherNet/IP absolute encoder. In order to be able to give machine builders and manufacturers new options and more freedom for encoder integration, service, and maintenance, SICK is taking encoders online with an integrated web server. With the embedded new programming tool, the AFS/AFM60 EtherNet/IP absolute encoder is ready for operation immediately without the need for additional software – enabling it to be used with either a browser enabled device combined with a controller or even without a controller. As well as opening the door to sensor data (i.e., precise angle, speed, and position detection), visualized communication via web server provides insights into the application by virtually mirroring plant conditions and requirements. With a whole range of integrated diagnostic functions (programmable minimum and maximum values for position, speed, temperature, operating hours counter, motion counter, display of flags, alarm, and warning messages), downtime can be reduced and material costs cut. Optimized service and maintenance intervals increase machine performance. Even without a web server, the AFS/AFM60 EtherNet/IP absolute encoder has already enjoyed market success, delivering significant added value with new functions. These functions can now be visualized via the web server, making the EtherNet/IP encoders easy to integrate and operate. Visualizing all encoder features and diagnostic functions at a glance on one screen enables the user to modify parameters quickly and easily, to output data values to the controller, and to display diagnostic data in graphic format. Operators are thus able to configure and/or analyze encoder data via Wi-Fi switch with LAN or WLAN access regardless of location, and optimize service intervals where applicable. Such action can be taken directly on site in the application, in a lab, in a warehouse, or in an office – even without a controller. Users are not required to have specific interface knowledge, as the websites are displayed in clear text with decimal values and diagnostic data is displayed in graphs. The user-friendly interface maximizes flexibility for operating personnel, allowing flexible user unit selections. Web server settings are sent to the controller automatically. Specific data exchange with the controller takes place in the background. 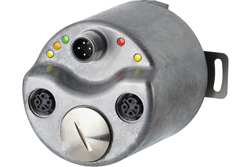 With the encoder as the output device, operators can change values quickly and safely. This is a significant factor in increasing efficiency. 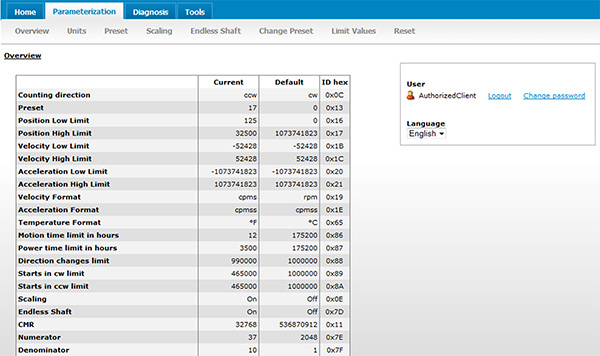 Operators can compare their “actual settings” with the “default settings” on the configuration overview on the screen. All settings are listed clearly side by side and missing or incorrect settings are immediately apparent. This helps significantly to avoid incorrect entries. The addition of an integrated FTP server to the AFS/AFM60 EtherNet/IP by SICK means that the encoder can be updated with the latest firmware at any time – directly in the system, without having to replace the sensor. The AFS/AFM60 EtherNet/IP encoder is now being delivered with the integrated web server. Customers can choose one of three ways to use the encoder. It can be operated in the conventional way via the controller, with the web server being used exclusively as and when required for monitoring and diagnostic purposes. Alternatively, the web server or the integrated programming tool can be used solely to configure the encoder in advance, prior to its implementation in the plant. The third and final option is to use the controller and the web server at the same time. The most recent setting made takes priority, regardless of whether it was made on the controller or on the web server. The AFS/AFM60 EtherNet/IP with web server provides true sensor intelligence and connectivity without adding controller programming / complexity to your system.